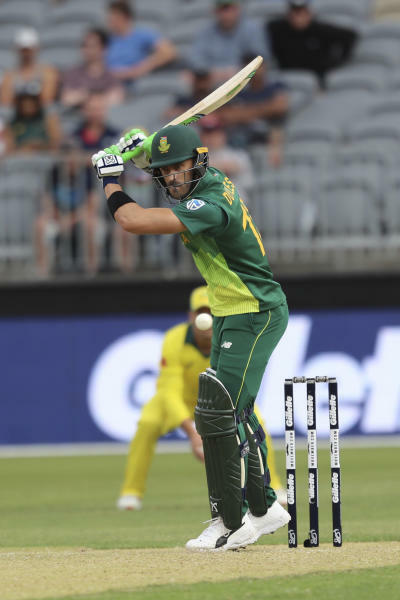 ADELAIDE, Australia (AP) — South Africa captain Faf du Plessis says he takes no pleasure from the continuing turmoil in Australian cricket but is happy to take advantage of the situation while he can. 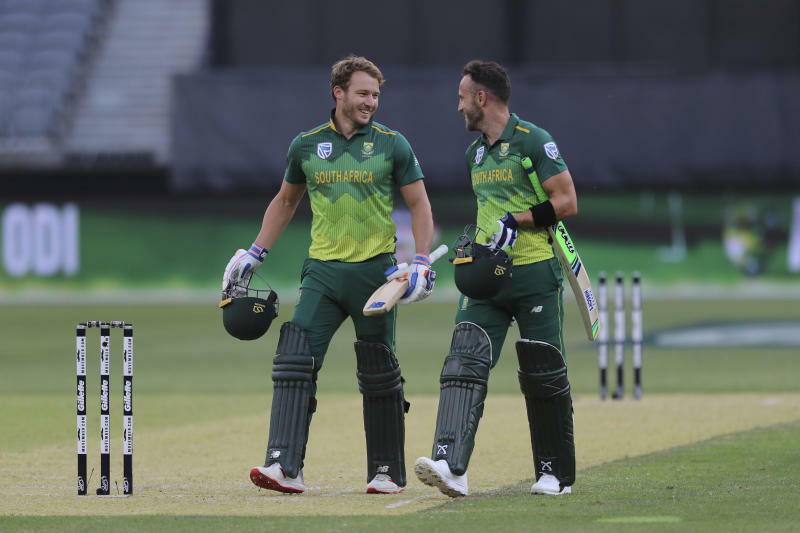 South Africa won the first one-day international by six wickets in Perth last weekend, Australia's seventh consecutive loss in the 50-over format. The teams play the second of three matches on Friday in Adelaide, with the third ODI set for the Gold Coast in Queensland state on Sunday. The ball-tampering scandal during a test match at Cape Town in March prompted an overhaul which saw national coach Darren Lehmann and chief executive James Sutherland leave Cricket Australia. Test captain Steve Smith and vice-captain David Warner were banned from international or first-class cricket for 12 months and opening batsman Cameron Bancroft was suspended for nine months after his clumsy attempt to change the condition of the ball with sandpaper was captured by TV cameras. "It's never nice when it carries on for so long," du Plessis said Thursday in the wake of more executive changes announced this week by Cricket Australia and the resignation of former captain Mark Taylor as a board director. "I think everyone in their camp would just like to start afresh now and make sure they can focus on the cricket." But du Plessis says he's happy to take advantage of a depleted Australian lineup with some of their best players on the sidelines. "Obviously from a results point of view, there is a bit of pressure on their batting lineup to score runs." 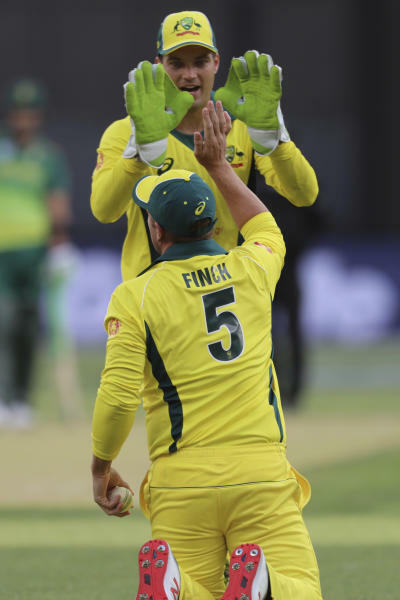 Australia's ODI captain Aaron Finch admitted that the upheaval has been on his mind, with the World Cup champions following a series loss against Pakistan with a lopsided opening loss to South Africa.